When we plan vacations, getaways, and escapes away from the ‘real world,’ we typically want to go somewhere where everything is taken care of, and all we have to do is relax, and appreciate the surroundings. At Candlewyck Cove Resort at Grand Lake, we completely understand that feeling - and that’s why we’re here to begin with! Grand Lake cabins were designed with the ultimate getaway in mind, and we focus on bringing a bit of modern comfort to ‘old school’ charm with all of our resort-style cabins. Far too often, it seems, vacations can be overshadowed by things like busy theme parks, crowded tourist attractions, or schedules that leave you rushing from one site to another. While those trips certainly have their place, isn’t the purpose of a getaway to relax, and enjoy yourself? Taking a step back in time might not even cross your mind in planning a trip, but it’s totally encouraged when it comes to Grand Lake resorts! Modern amenities are included, of course, but the natural relaxation that comes from the water and private wooded surroundings will make you feel as though you’ve found a magical secret spot in the world, that’s truly unlike anywhere else. Luckily, the secret is out - and Candlewyck Cove is here for everyone to enjoy. We don’t like to pat ourselves on the back too much and Candlewyck Cove, but we’ve been lucky enough to receive the Traveler’s Choice Award, marking us as one of the top 25 hotels in the entire country, and we’re pretty proud of that achievement! But, we don’t use awards to bring people in the door. Instead, we want you to come see for yourself what our great cabin-style resorts have to offer. The ‘more’ you’re looking for? It comes in the form of on-site amenities and conveniences, and a world of fun and relaxation in your immediate surroundings. 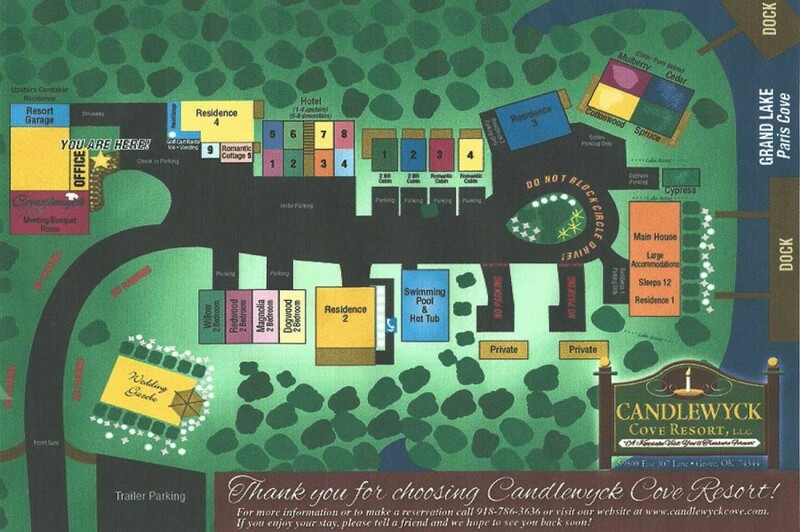 After you’ve enjoyed breakfast at the Candlewyck Cafe on site, you can burn off some energy just about anywhere on our nature-filled grounds; try a pickup game up basketball or volleyball, or rent a boat or jet ski from H20 Sports Rental onsite and head out on the water for the afternoon. Even if you never leave the grounds, you’ll certainly never run out of things to do, and places to explore. If you do decide to spend some time away from the resorts, there are plenty of nearby attractions and fun things to see and do that will keep you busy. Aside from numerous festivals and events that happen throughout the year, you can create your own fun on the lake, or nearby. Championship fishing awaits you, for hours of calm, relaxation - and maybe a prize catch or two! If you’re looking to completely unwind, you can also take a moonlit romantic cruise on the Cherokee Queen riverboat - again, it’s a step back in time you’ll be happy to take. Looking for something educational and entertaining to do with the kids? Visit Darryl Starbird’s Rod And Custom Car Hall of Fame Museum, or Lendonwood Gardens, for an afternoon of unbelievable beauty surrounding you in every step. You can also get up early and hit the links at one of the three nearby impressive golf courses to start your day the right way. Then, relax by going shopping at one of the area’s many antique centers. 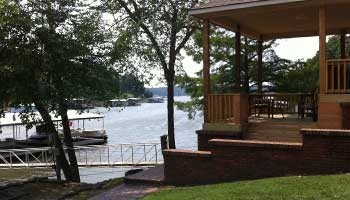 Whether you choose to stay at the Grand Lake resorts, or go exploring on your own, there are no better Oklahoma cabin rentals that can offer so much. From a romantic getaway, to quality time with the family, or even a fun trip away with your closest friends, there is truly something for everyone to enjoy at Candlewyck Cove Resort, without the hustle and bustle of typical vacations. Here, you choose your own pace, and soak up every minute of relaxation the way you want to! When it comes to staying in one of our beautiful resort rental cabins, the idea of a real ‘getaway’ comes to life more than ever before, and once you’ve experienced the hidden paradise of Oklahoma, we know we’ll be seeing you again soon! 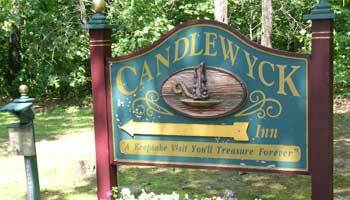 If you’d like to plan a visit to Candlewyck Cove, feel free to check out the website for more information, pictures, and additional amenities/things to do in the area that everyone can enjoy and take part in. Come experience award-winning resorts for yourself!